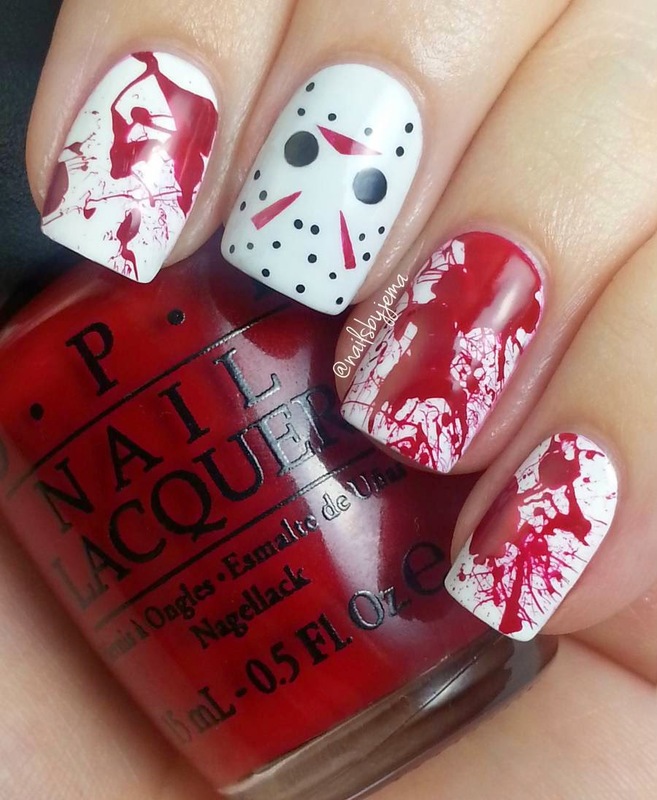 N A I L S B Y J E M A: Jason Voorhees & Blood Splatter Nails & Tutorials Plus My Halloween Wrap Up! 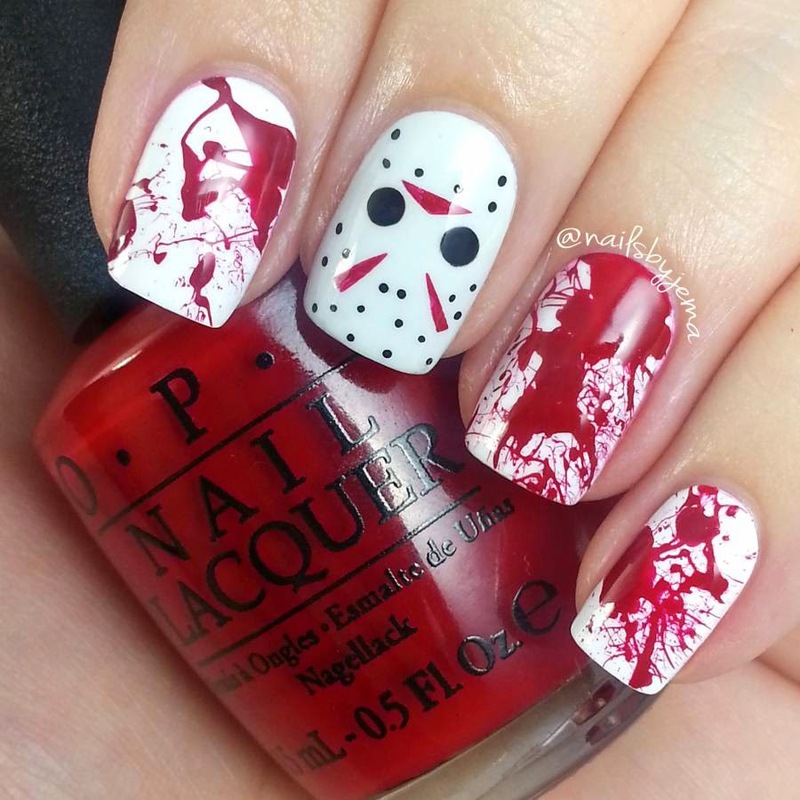 Jason Voorhees & Blood Splatter Nails & Tutorials Plus My Halloween Wrap Up! Then I woke up early and finished them. 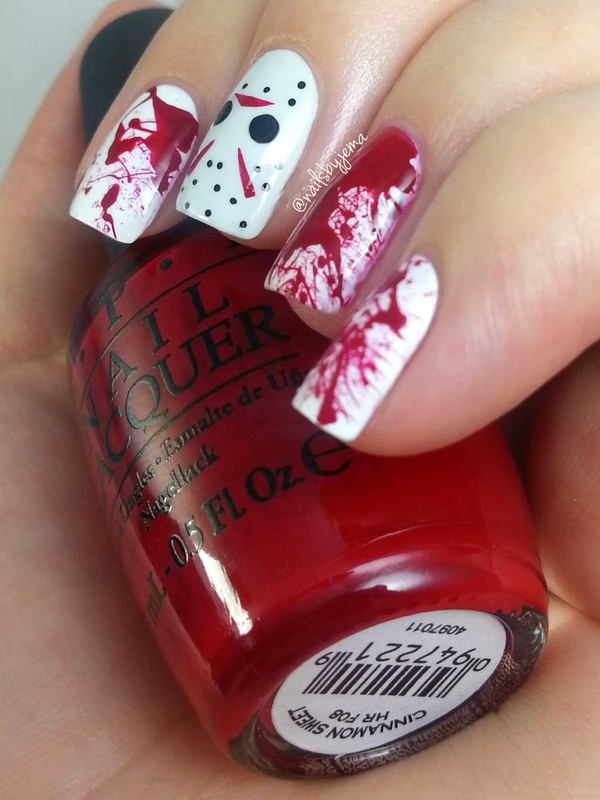 Jason Voorhees and blood splatter nails!!! I love the blood splatter on it's own for Halloween but Jason adds a little something extra. Polishes used: OPI 'Alpine Snow', 'My Boyfriend Scales Walls', 'Cinnamon Sweet' & a black gel pen. need to include postage costs onto your order. Dear instagram. Please stop making me look so orange in my videos! Stupid automatic and unremovable orange filter. Anyway, this is really easy if you have a gel pen! If you don't have a gel pen then a toothpick will work for the small dots and a large dotting tool for the eyes. Top coat is the amazing @glistenandglow1 HK Girl Top Coat. Music is the Friday the 13th theme song. And here is the blood splatter tutorial! This one is so easy and great for beginners. It's just a real biatch to clean up so make sure you take or glue your fingers to help make it easier! 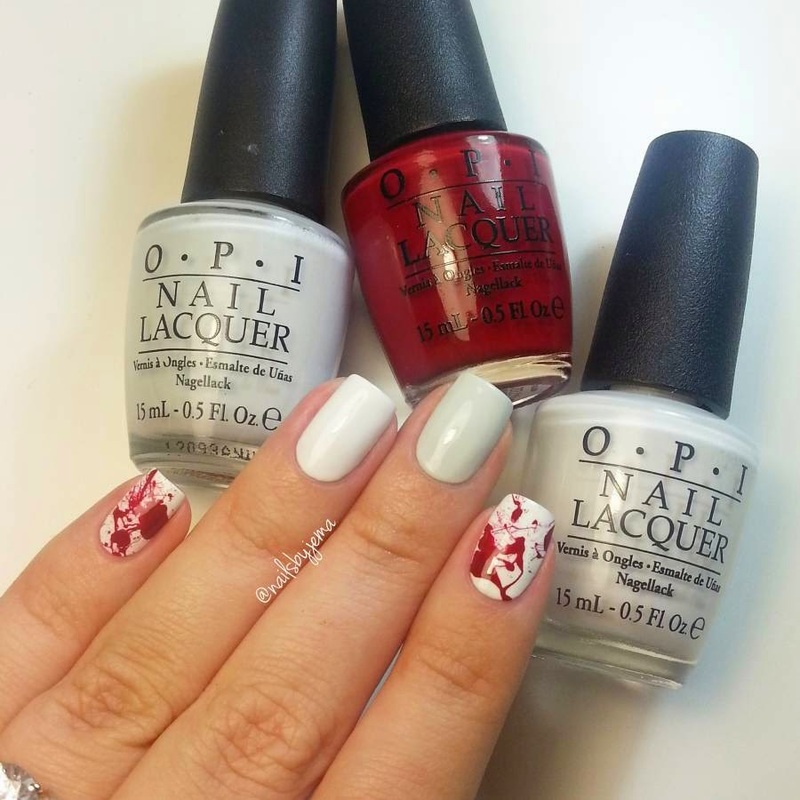 The trick to getting the splatter look is to make sure enough polish is on the straw and to quickly move from collecting the polish to blowing it off. If you wait too long the polish will split out onto the edges of the straw. For it to work, there needs to be a thin film of polish covering the end of the straw. Blow hard and quick. Music is the theme song from Dexter (aka one of the best TV shows ever with one of the worst endings ever). And FYI, OPI 'Cinnamon Sweet' is the PERFECT colour for blood! It's available now as part of the Gwen Stefani Holiday Collection for OPI from Myer or David Jones for $19.95 if you're in Australia! 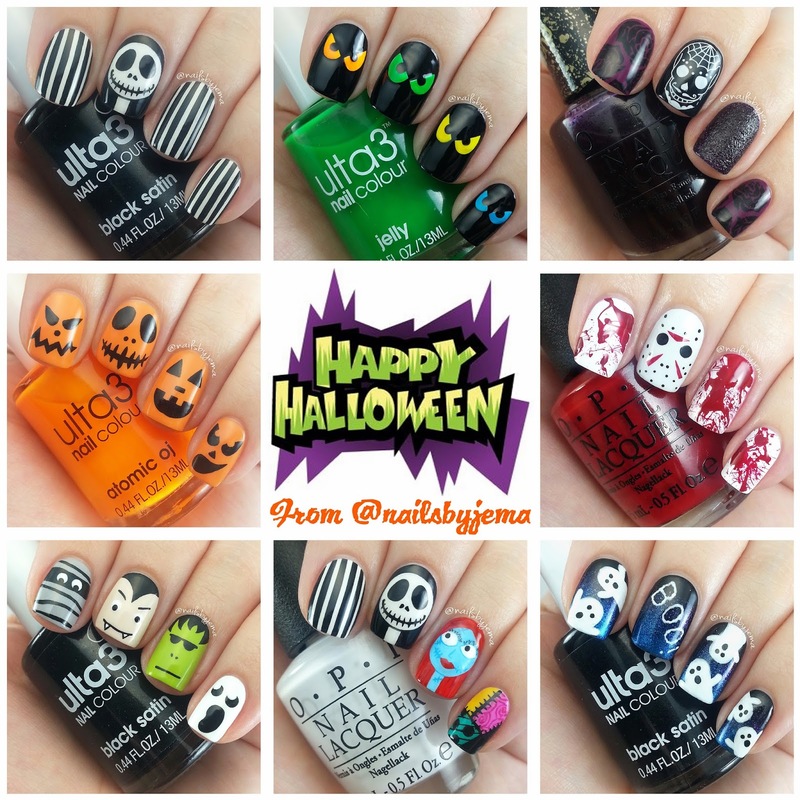 And finally, my Halloween nail designs wrap up!